Alasehir is the contemporary Turkish name of the original city of "brotherly love", Philadelphia. It was established in 189 BC by King Eumenes II of Pergamon. Ancient Philadelphia is the site of one of the Seven Churches of the Book of Revelation. With the exception of a few structures, the Ancient City is covered over by the modern town. 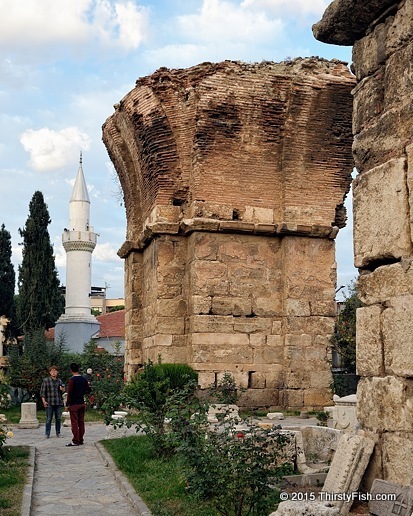 The ruins seen in the photograph are two of the six squat columns that once supported the dome of the 7th century Basilica of St. John.